Bridget Jane Fonda (born January 27, 1964) is an American former actress. She is known for her roles in The Godfather Part III (1990), Single White Female (1992), Singles (1992), Point of No Return (1993), It Could Happen to You (1994), and Jackie Brown (1997). 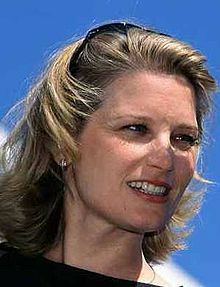 She is the daughter of Peter Fonda, niece of Jane Fonda and granddaughter of Henry Fonda. Fonda was nominated for a Golden Globe Award for Best Supporting Actress for playing Mandy Rice-Davies in the 1989 film Scandal and provided the voice for Jenna in the 1995 animated feature film Balto. I love Jet Li, he's really special.